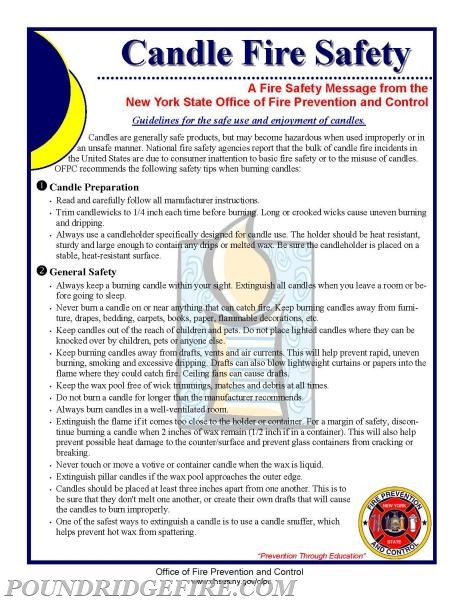 Guidelines for the safe use and enjoyment of candles. the United States are due to consumer inattention to basic fire safety or to the misuse of candles. • Read and carefully follow all manufacturer instructions. drapes, bedding, carpets, books, paper, flammable decorations, etc. knocked over by children, pets or anyone else. flame where they could catch fire. Ceiling fans can cause drafts. • Keep the wax pool free of wick trimmings, matches and debris at all times. • Do not burn a candle for longer than the manufacturer recommends. • Always burn candles in a well-ventilated room. • Never touch or move a votive or container candle when the wax is liquid. • Extinguish pillar candles if the wax pool approaches the outer edge. the candles to burn improperly. helps prevent hot wax from spattering.